As a business grows, it is important that IT services can scale alongside the increasing demands. This is a problem that ServiceNow encountered within their enterprise, despite being an ITSM leader. 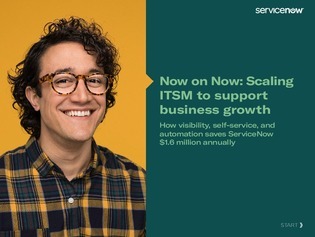 Through reorganizing their processes, ServiceNow was able to transform their ITSM strategy to save them over $1.6 million a year in addition to the accompanying technology benefits.